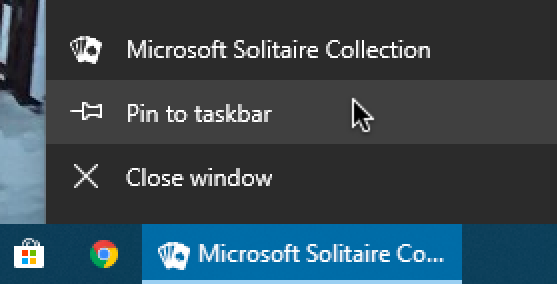 How can I add Solitaire to my Windows Taskbar? I love solitaire on my computer and play it all the time. 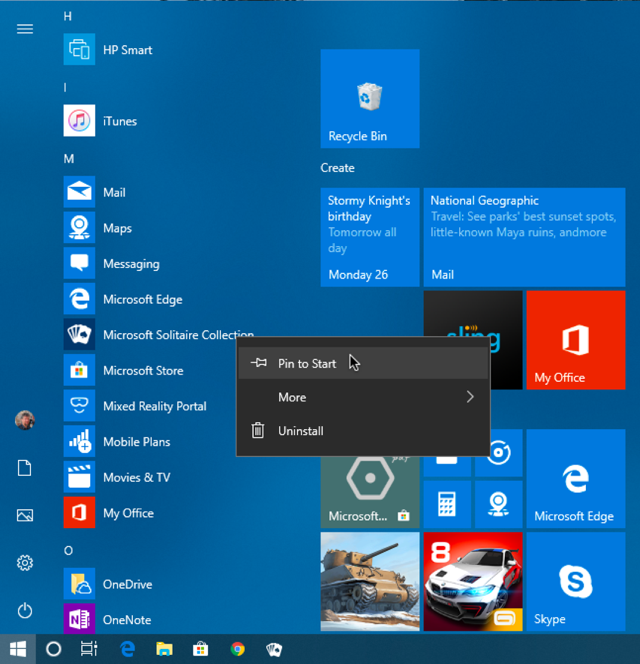 Is there an easy way to drop it onto my Taskbar so it’s always available? But you can make that tile (as they’re called) bigger! There ya go. It’s pretty and it’s big and easy to click on. And now you know two cool ways to make your Solitaire more accessible without having to drop an alias on your Desktop. 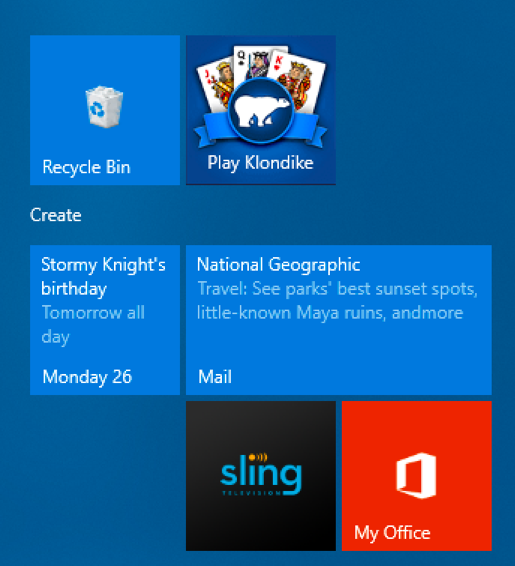 Now a third one: Try using Cortana to just say “solitaire” and have the program launch that way too. Cool, eh? Pro Tip: We have a lot of free Windows help here on the site. Please take a few minutes to check it out!